It’s been a year since the birth of After Gadget. Here’s information about how the blog started, and what it has become, as well as links to other pages of interest here. I started After Gadget for three reasons. 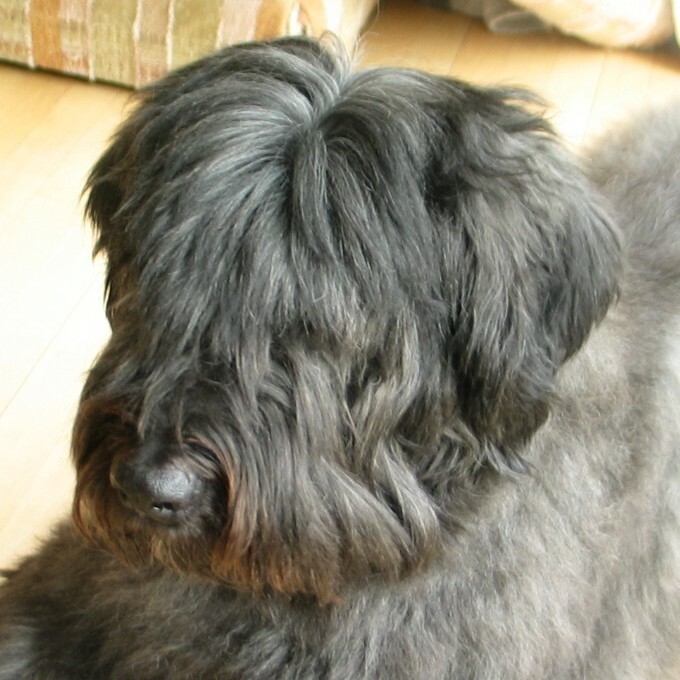 1) After my service dog, Gadget, died, blogging was the only way I could cope. This may sound like a strong statement, but nothing else really worked. I talked to a therapist; I called pet loss hotlines; I tried online resources for pet loss. It all helped a little bit, but it didn’t move me through, at all. I spent about 95 percent of the time numb and in shock, shut down. I hardly even cried. I felt like a ghost. On the rare occasions my grief rose up, it was so terrible — uncontrollable sobbing for hours — that it was unendurable. It felt like being torn apart. Blogging was different: I’m a writer — it’s my passion, my craft, my access to my inner self, and my way of making sense of the world. Writing my and Gadget’s story — and forcing myself to write well in order to do justice to Gadget — gave me focus. This focus provided enough distance to process the loss in tiny pieces. Yes, I cried as I wrote, but it was bearable. It was like little pieces of me breaking off and melting, not like my soul being ripped out of my body. The blog started, first and foremost, as a survival mechanism for me. Just remembering that time — now, as I write this — I’m crying. It feels like there’s a hole, not just in your heart, but in space and time, too, and that it should be recognized. I took great comfort in knowing that people would come to love and respect Gadget, and what his loss meant, if I told our story. 3) There is very little support or understanding for the grieving assistance dog partner. There are a few online resources — one listserv and a very good page of information on a pet bereavement site — but other than that, the internet provides little. Most internet information, as well as other sources of grief support for dog owners, is for people who have lost pet (or “companion”) dogs. Those who have program dogs (assistance dogs trained by an assistance dog school), sometimes receive support through the school or a community of AD partners in the area who become friends because of their affiliation with the program. However, for those who private- or owner-train, or for those with program dogs who live in parts of the country where ADs are very rare, this is not generally an option. Thus, I wanted After Gadget to be a place where others who were grieving the loss of an assistance dog could find community, companionship, and a sense of comfort through belonging. After Gadget has changed — and changed me. The goals I had for After Gadget are still important to me. For instance, although it’s taking more time than I expected, I’m building several permanent resource pages for assistance dog partners who are grieving. I also still blog about the way Gadget’s illness and death have affected me, which has helped me as I continue to move through my grieving process. However, I have also found tremendous fulfillment in unexpected areas. After Gadget has . . .
become a great place to share the challenges and triumphs of raising my puppy, Barnum, to be my next service dog. afforded me an opportunity to offer information and resources on one of my great passions: clicker training. In fact, prompted by reader questions, I’m compiling a fixed page of “suggested reading and viewing,” on dog behavior and training. connected me to others who have lost beloved dogs, whether pets or working dogs. I have been deeply touched by comments from readers who have found companionship here in the loss of their dogs. I feel honored when someone says a post about Gadget has reminded them of their beloved pups. become the home for the Assistance Dog Blog Carnival (ADBC), which has taken on a life of its own, and been a terrific way to find other AD blogs and bloggers and explore issues we share (and those that are different among handlers, trainers, and others in our community). Below are some links that provide background on my writing, my disabilities, my history with dogs, and other tidbits. Learn more about Sharon’s writing here. Learn more about Sharon’s disabilities here. You can learn more about how MCS affects Sharon’s life here. Learn about Sharon’s life with dogs. Welcome. I hope you enjoy After Gadget. I wish you could have known Gadget, but I hope in these pages, you will, just a little. If you would to get in touch with me, please use the contact form below. P.S. If you would like to help keep After Gadget going, please use the “Donate” button on the homepage. I just read a couple of your blogs. It sounds like we had/have the same dogs! Ollie was my heart dog and Jessie , my “After Ollie”. Don’t worry, just keep plugging away at training and enjoy each step. In just two years with TL, (Level 5) Jessie is now far more capable learner and knows far more behaviors than Ollie did. We have a far better partnership than I ever could have imagined when she came to us at 7 mos with all her issues. I now have ‘one of those dogs’ that I admired in the obedience ring and never imagined that I would know how to get to that level of training. Jessie’s training and abilities have far surpassed what Ollie’s ever was-and yet, he is still my gold standard in dogs. Our new dog, Lucy shares many things in common with Ollie, (looks and temperament among them) plus has the added benefit of having a more experienced trainer (Thanks to Jessie). She is progressing quickly & eagerly through level 2. I can’t wait to see how she turns out, despite having been pre-owned by someone else for almost 2 years. I love the resiliant temperament and the fun, goofy nature where Jessie is so serious and detail-oriented. They are proving to be a good combination! I love reading your blog! You have na engaging writing style and reveal many insights about you and your dogs! Thank you, Donna! I hope you come back and continue to visit. I’ve never heard about Ollie before. I know what you mean. Gadget had a lot of “flaws,” but he was still my perfect dog. These days, I miss him more each day than the day before. Lucy does sound like a stellar girl for you. You are already rocketing through the levels! And I know what you mean about having a dog around to help with the training. Having Jersey help train Gadget made a huge difference. I really really really never want to go through again what I’m doing now — raising/training a dog with no working service dog in place. Your blog and videos are totally awesome. My favorite of the videos is the three-part series, “9 steps of highly effective clicker trainers.” The captioning and the narration on all the videos makes them really easy to follow.